President Donald Trump is winning on all cylinders. 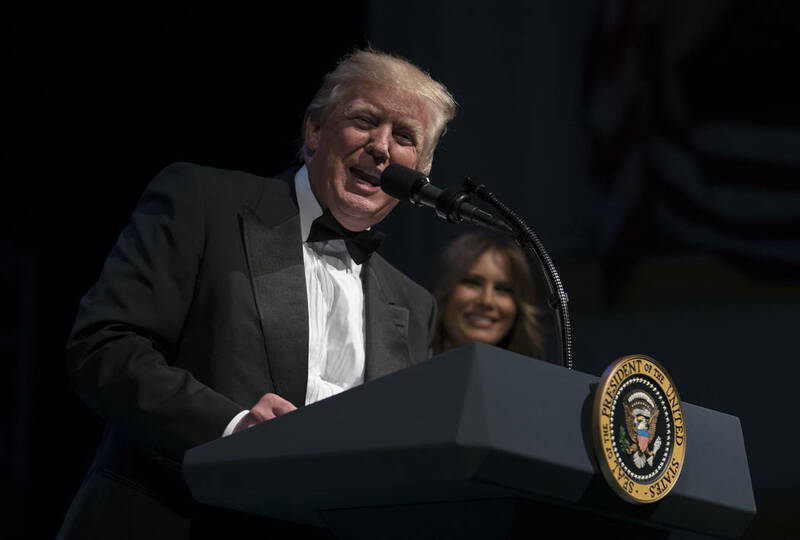 First, Trump’s approval rating just hit 50 percent at Rasmussen. Trump is now 5 points higher than Barack Obama on the exact day of his second year in the White House. But what’s truly amazing is Trump has had well more than 90 percent negative news coverage. Meanwhile, Obama enjoyed an 8-year lovefest with the media. It was eight years of genuflecting and knighting Obama a hero. After all that, Trump beats him by 5 points. Amazing. Guess what this means? A majority of Americans don’t give a damn what the liberal mainstream media says anymore. We ignore it, avoid it or mock it. ABC, NBC, CBS, CNN, PBS and MSNBC have all neutered themselves. No one believes their propaganda, lies and fake news anymore. They’ve made themselves completely irrelevant. We’ve tuned them out. Which means they can’t change a single mind anymore. Trump’s Twitter feed has more value than ABC, NBC and CBS combined. And Nickolodean and HGTV get higher ratings than CNN. Now to the great economic news. The Atlanta Federal Reserve’s “GDPNow” measure (which predicts future GDP growth based on current data) just upgraded its third quarter GDP prediction from 4.7 percent to 5 percent growth. If that prediction comes true — right before the November elections — Trump’s GOP wins a huge victory. How good is the economic news? In June, 155,965,000 Americans were employed. That’s the 11th time in 19 months under Trump we’ve set a record for the most Americans working. This guy is Houdini. You know what that makes Obama? A fool. He put us $10 trillion in debt to create awful growth and a nation of crappy, part-time jobs. Hispanic unemployment set another record low. But even more remarkably, the number for disabled Americans is also the lowest ever. It gets better. These aren’t Obama’s crappy, low-wage, part-time jobs. High-wage manufacturing jobs were up by 37,000 in June. That brings Trump’s total to 400,000 new manufacturing jobs. Not surprisingly, with the economy booming and a job market this tight, worker pay raises are now the highest since 2008. But the news gets even better for Trump. Democrats, Ivy League eggheads and the liberal mainstream media think they have a winning/wedge issue with Trump’s trade war. They call it “reckless” and “dangerous.” They keep claiming it will destroy our economy. Well, guess who disagrees? American businesses. Seventy-one percent of business owners surveyed by the UBS Investor Watch support additional tariffs on China. Eighty-eight percent agree China engages in unfair trade practices. Sixty-six percent support additional tariffs on Mexico. Sixty-four percent support additional tariffs on the E.U. Sixty percent even support additional tariffs on Canada. Trump wins again. The people no longer care what the media say. Trump just keeps saying what the American people want to hear. Trump says, “America first.” The people cheer. Trump says our “friends” in the EU are ripping us off. The people cheer. Trump signs an executive order rolling back affirmative action at colleges. The people cheer. Trump rolls back Obama-era gas mileage standards. Liberal environmentalists scream. But that saves $2,400 per car for middle-class Americans. The people cheer. Trump demands work requirements for anyone who gets food stamps. The people cheer. The Democrat response? Socialism. Free health care. Free money for everyone. Free college for everyone. Free handouts for everyone. Reparations. Open borders. Trump has hit the daily double. He’s destroyed the Democrat Party and the liberal mainstream media at the same time. Liberals have fallen into a very deep, dark hole. They may never crawl out.